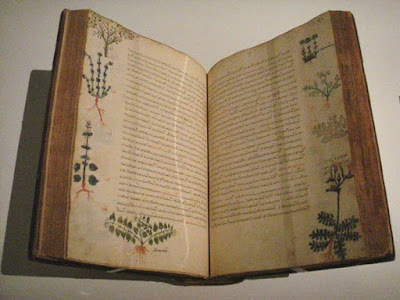 Terra Forming Terra: Could ancient textbooks be the source of the next medical breakthrough? Of course they will be and for two powerful reasons. The first reason is as simple as the fact that all such concoctions have been field tested as to safety and usefulness for at least two thousand years. If you think that that does not matter, you are an idiot. I have come to the inevitable conclusion that what we can describe as trance medicine will be the future of all medicine for serious illness.. The discovery that won the latest Nobel Prize for Medicine wouldn’t have been much of a revelation to doctors in ancient China. Pharmaceutical chemist Tu Youyou established that the compound artemisinin could treat malaria in the early 1970s. But the plant the chemical comes from, Artemisia annua L. (sweet wormwood), was used to treat fevers perhaps caused by malaria as early as the third or fourth century CE. Tu discovered the properties of artemisinin (qinghaosu in Chinese) after reading traditional Chinese texts that dated to this era listing medicinal herb preparations. The route to the discovery and its dissemination was not easy due to both the difficulties of trawling through and testing hundreds of plant samples and the political climate in China in the 70s. Fortunately, persistence paid off and artemisinin is now a key antimalarial drug. While this story might be unusual in modern medicine, artemisinin is far from the only compound used today that was initially derived from plants. For example, another malaria treatment, quinine, is derived from the bark of South American rainforest tree Cinchona officinalis L. The painkiller morphine comes from the opium poppy Papaver somniferum L. And the poison strychnine comes from the Strychnos nux-vomica L. tree. Those plants had been in use for centuries, even millennia, before chemists isolated their most active constituents. So can we hope to find new remedies by studying ancient medical texts, as Tu did so successfully? The answer to that question is complex and unfortunately cannot be an unmitigated, resounding “yes”. Ancient pharmacological texts, whether they are written in Chinese, Arabic or Greek (or any other ancient language) are not easy to navigate for several reasons. These pharmacological texts normally present themselves as a series of recipes without much information as to whether they were used or not. Think of your favourite cookery book: you probably do not make all the recipes in it and if you do not annotate it then nobody would know which ones you used and how much you enjoyed them (or not). We rarely find annotations on ancient pharmacological texts. It is often difficult to know exactly which plants are listed in an ancient recipe. Nowadays, the international Linnaean plant nomenclature is used worldwide to name plants, with each given a genus and a species name, as well as an author’s name. For instance, in “Artemisia annua L.”, “Artemisia” refers to the genus, “annua” refers to the species, and “L” refers to Linnaeus, the famous Swedish botanist. But before the Linnaean system became widely accepted, plant nomenclature was extremely unstable and various local names could be used to refer to the same plant. This means it is not always possible to know for sure which plants are referenced in ancient texts. If we cannot translate ancient recipes accurately, how can we evaluate their efficacy? Definitions of diseases are culturally bound. This means that each culture will define its diseases in a different way. For instance, the Greeks and the Romans considered fever to be a disease, whereas we would think of it as one symptom of a disease. In Greek and Roman texts, there are many descriptions of “intermittent fevers”, fevers that reoccur every few days. Now, intermittent fevers are a symptom of malaria, but they are also symptomatic of other diseases. Should scientists test all ancient Greek and Roman remedies for “intermittent fevers” in their search for new antimalarial drugs? Perhaps most importantly, historians of medicine believe that every medical system should be considered in its entirety. That means, from a historian’s point of view, it is problematic only to focus on aspects of ancient medicine that are successful by modern standards and reject the rest as uninteresting. While there are many ancient medicines that are effective by modern standards, many are not or are frankly dangerous. For instance, very few of us would think it wise to purge ourselves of a disease by overdosing on hellebore, as the Greeks often did. With all these provisos in mind, I would still argue that there is much potential for discoveries of new drugs in ancient medical texts. This will require collaborations between pharmacologists, historians and ethno-pharmacologists (who study traditional medicine use by different ethnic groups). Such collaboration will prove challenging as everyone will feel they are speaking a different language. But the wonderful example of Tu Youyou should remind us that the rewards can be high, especially when they lead to advances in the fight against such widespread diseases. Featured image: A five-volume treatise concerning medical matters, Dioscorides, De Materia Medica, Byzantium, 15th century. (World Imaging/Wikimedia Commons). The article ‘Could ancient textbooks be the source of the next medical breakthrough?’ by Laurence Totelin was originally published on The Conversation and has been republished under a Creative Commons License.